Last week I popped into Zara while I was back in Norwich for the evening and nabbed this beauty. It came in both light pink and grey, but I opted for the version with a bit more colour. I love the sleeves on this and feel like it’s going to be the perfect spring transition piece!! 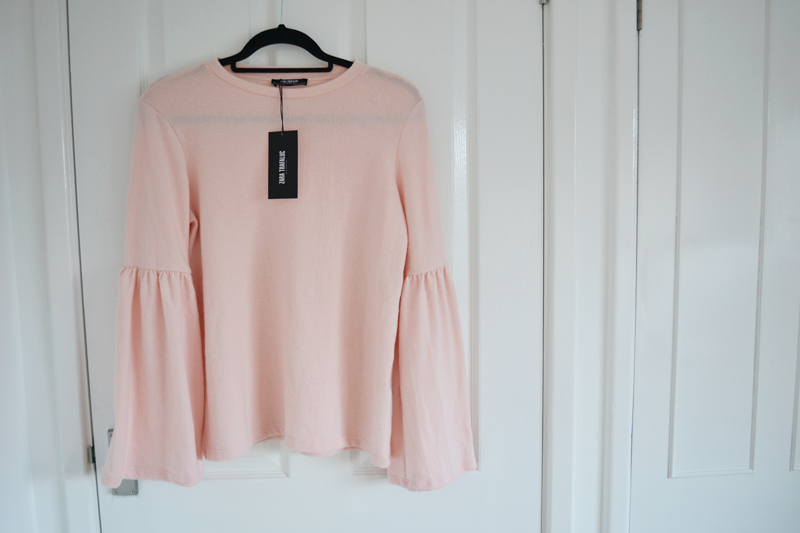 I also picked up the cutest shirt in the sale which has lots of little bugs over it, I’m sure it’ll feature in an ootd on the blog soon!